When you make a donation to American Kidney Services (AKS), you are helping us continue our mission of supporting organizations that provide assistance to people with kidney disease. AKS accepts clothing and household items from residents of Roswell and all nearby Georgia communities to generate proceeds that go toward funding groups like American Kidney Fund (AKF). In one year alone, AKF ensured more than 84,000 patients received their necessary medical care and treatment, and your donation to AKS can help us continue our support of their vital work. In order to make it easy for you to donate, we operate a free donation pickup service in the Canton, GA, area. Simply give us a call or use our online form to schedule the collection of items from your home or business. Or, you can drop items off 24-hours-a-day at our Atlanta storefront location or one of the hundreds of drop boxes placed all over the area. Additionally, all Value Village thrift department stores accept donations on our behalf during their regular business hours. 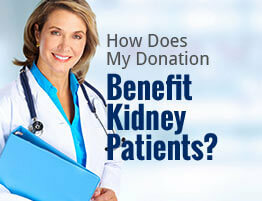 For more information on how to make a donation to AKS in the Canton, GA, area, please contact us today.